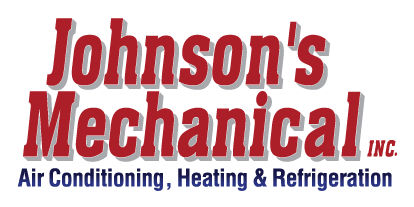 Heating, Winter Haven, FL | Johnson’s Mechanical Inc. Heating, Winter Haven, FL | Johnson’s Mechanical Inc.
We are committed to providing the highest level of service when you need assistance with heating installation, repairs and maintenance in Winter Haven. At Johnson’s Mechanical Inc., we know that proper heating is critical to the comfort and wellbeing of you, your guests and your employees at your home or business in Winter Haven, Florida. That’s why we are committed to providing the highest level of service when you need assistance with heating installation, repairs and maintenance. Customer satisfaction is our number one goal, and we know that you won’t be disappointed when you choose us for all your heating needs. Residential – Having heating at the times you need it most can make a big difference in your daily routine and in how you feel. At Johnson’s Mechanical Inc., we can assist you with residential heating installation and repair, so your home is equipped with the heating system that keeps you comfortable. Commercial – Maintaining a working commercial heating system can make a big difference when it comes to both customer and employee satisfaction. Let us serve as your number one commercial heating company, so you achieve great results and don’t have to worry whether your commercial heating system is functioning its best. If you have questions about our heating and cooling services in Winter Haven, just give us a call at Johnson’s Mechanical Inc., and we will be happy to provide you with the comprehensive services you need. Our professional technicians are fast, reliable and knowledgeable, and we service all major brands. Call today for an estimate or to schedule services. We are your number one choice for all your heating and cooling needs!